The X6 has standard head airbag curtains for front and rear seats which act as a forgiving barrier between the driver and outboard passenger's upper bodies and the window and pillars. Combined with high-strength steel door beams and lower side airbags this system increases head protection in broadside collisions. Head airbags cost extra in the Wrangler and are only available for the front seats. The X6 has standard Active Head Restraints, which use a specially designed headrest to protect the driver and front passenger from whiplash. During a rear-end collision, the Active Head Restraints system moves the headrests forward to prevent neck and spine injuries. The Wrangler doesn’t offer a whiplash protection system. The X6 offers optional City Collision Mitigation, which use forward mounted sensors to warn the driver of a possible collision ahead. If the driver doesn’t react and the system determines a collision is imminent, it automatically applies the brakes at full-force in order to reduce the force of the crash or avoid it altogether. The Wrangler doesn't offer collision warning or crash mitigation brakes. Full-time four-wheel drive is optional on the X6. Full-time four-wheel drive gives added traction for safety in all conditions, not just off-road, like the only system available on the Wrangler. When descending a steep, off-road slope, the X6 xDrive’s standard Hill Descent Control allows you to creep down safely. The Wrangler doesn’t offer Hill Descent Control. The BMW X6 has Daytime Running Lights to help keep it more visible under all conditions. Canadian government studies show that driving with lights during the day reduces accidents by 11% by making vehicles more conspicuous. The Wrangler doesn’t offer Daytime Running Lights. A passive infrared night vision system optional on the X6 helps the driver to more easily detect people, animals or other objects in front of the vehicle at night. Using an infrared camera to detect heat, the system then displays the image on a monitor in the dashboard. The Wrangler doesn’t offer a night vision system. The X6’s optional lane departure warning system alerts a temporarily inattentive driver when the vehicle begins to leave its lane. The Wrangler doesn’t offer a lane departure warning system. The X6 has standard Park Distance Control to help warn drivers about vehicles, pedestrians or other obstacles behind or in front of their vehicle. The X6 xDrive50i also has a standard backup monitor to help drivers see any and all obstacles behind their vehicle, and an optional Surround View Cameras to allow the driver to see objects all around the vehicle. The Wrangler doesn’t offer any parking assist system. The X6’s optional blind spot warning system uses digital cameras monitored by computer to alert the driver to moving objects in the vehicle’s blind spots where the side view mirrors don’t reveal them. The Wrangler doesn’t offer a system to reveal objects in the driver’s blind spots. For better protection of the passenger compartment, the X6 uses safety cell construction with a three-dimensional high-strength frame that surrounds the passenger compartment. It provides extra impact protection and a sturdy mounting location for door hardware and side impact beams. The Wrangler uses a body-on-frame design, which has no frame members above the floor of the vehicle. The X6 has standard BMW Assist, which uses a global positioning satellite (GPS) receiver and a cellular system to remotely unlock your doors if you lock your keys in, help track down your vehicle if it’s stolen or send emergency personnel to the scene if any airbags deploy. The Wrangler doesn’t offer a GPS response system, only a navigation computer with no live response for emergencies, so if you’re involved in an accident and you’re incapacitated help may not come as quickly. Both the X6 and the Wrangler have standard driver and passenger frontal airbags, front seatbelt pretensioners, plastic fuel tanks, four-wheel antilock brakes, traction control and electronic stability systems to prevent skidding. The X6 comes with a full 4 year/50,000 mile basic warranty, which covers the entire truck and includes 24 hour roadside assistance. The Wrangler’s 3 year/36,000 mile basic warranty expires 1 year and 14,000 miles sooner. The X6’s corrosion warranty is 7 years and unlimited miles longer than the Wrangler’s (12/unlimited vs. 5/100,000). BMW pays for scheduled maintenance on the X6 for 4 years and 50,000 miles. BMW will pay for oil changes, lubrication and any other required maintenance. Jeep doesn’t pay scheduled maintenance for the Wrangler. To reliably power the ignition and other systems and to recharge the battery, the X6 has a standard 210-amp alternator. The Wrangler’s 160-amp alternator isn’t as powerful. The battery on the X6 is in the trunk, which protects it from hot underhood temperatures which can degrade battery life. By keeping the X6’s battery 20 to 30 degrees cooler, its life is increased by years. The Wrangler’s battery is in the hot engine compartment. J.D. 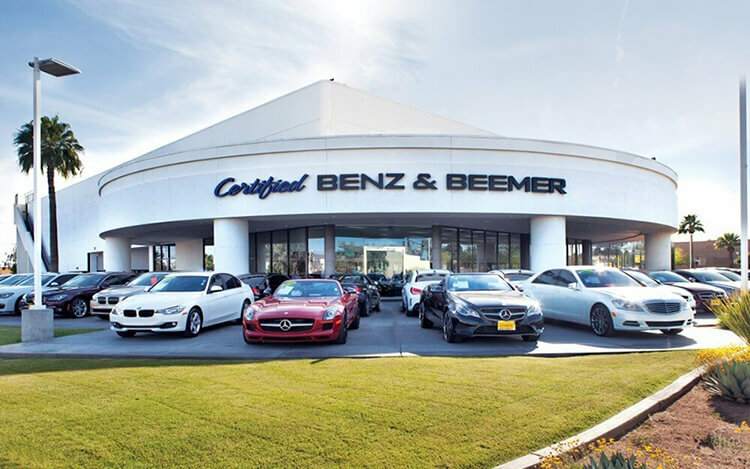 Power and Associates’ 2015 Initial Quality Study of new car owners surveyed provide the statistics that show that BMW vehicles are better in initial quality than Jeep vehicles. J.D. Power ranks BMW 6th in initial quality, above the industry average. With 42 more problems per 100 vehicles, Jeep is ranked 29th, below the industry average. J.D. Power and Associates’ 2015 survey of the owners of three-year-old vehicles provides the long-term dependability statistics that show that BMW vehicles are more reliable than Jeep vehicles. J.D. Power ranks BMW 18th in reliability, above the industry average. With 51 more problems per 100 vehicles, Jeep is ranked 28th. The X6 s/xDrive35i’s standard 3.0 turbo 6 cyl. produces 15 more horsepower (300 vs. 285) and 40 lbs.-ft. more torque (300 vs. 260) than the Wrangler’s 3.6 DOHC V6. The X6 xDrive50i’s standard 4.4 turbo V8 produces 160 more horsepower (445 vs. 285) and 220 lbs.-ft. more torque (480 vs. 260) than the Wrangler’s 3.6 DOHC V6. On the EPA test cycle the X6 s/xDrive35i xDrive gets better fuel mileage than the Wrangler Unlimited Auto (18 city/24 hwy vs. 17 city/20 hwy). In heavy traffic or at stoplights the X6’s engine automatically turns off when the vehicle is stopped, saving fuel and reducing pollution. The engine is automatically restarted when the driver gets ready to move again. (Start/Stop isn’t accounted in present EPA fuel mileage tests.) The Wrangler doesn’t offer an automatic engine start/stop system. The X6 has 3.8 gallons more fuel capacity than the Wrangler 2dr’s standard fuel tank (22.4 vs. 18.6 gallons), for longer range between fill-ups. The X6’s standard front and rear disc brakes are vented to help dissipate heat for shorter stops with less fading. The rear discs on the Wrangler are solid, not vented. For better traction, the X6 has larger standard tires than the Wrangler (255/50R19 vs. 225/75R16). The X6’s optional tires are larger than the largest tires available on the Wrangler (F:275/40R20 & R:315/35R20 vs. 255/75R17). The X6’s standard tires provide better handling because they have a lower 50 series profile (height to width ratio) that provides a stiffer sidewall than the Wrangler Sport’s standard 75 series tires. The X6’s optional 275/40R20 front and 315/35R20 rear tires have a lower 40 series front and 35 series rear profile than the Wrangler Sahara’s 70 series tires. For better ride, handling and brake cooling the X6 has standard 19-inch wheels. Smaller 16-inch wheels are standard on the Wrangler Sport. The X6’s optional 20-inch wheels are larger than the 18-inch wheels on the Wrangler Sahara. Changing a flat tire near traffic can be dangerous and inconvenient. The run-flat tires standard on the X6 can be driven up to 50 miles without any air pressure, allowing you to drive to a service station for a repair. The Wrangler doesn’t offer run-flat tires. The BMW X6’s independent front suspension is much lighter than the Jeep Wrangler’s solid front axle, which allows the X6’s wheels to react more quickly and accurately to the road’s surface, improving both ride and handling. For superior ride and handling, the BMW X6 has fully independent front and rear suspensions. An independent suspension allows the wheels to follow the road at the best angle for gripping the pavement, without compromising ride comfort. The Jeep Wrangler has a solid rear axle, with a non-independent rear suspension. The X6 offers an available adjustable active suspension system, which counteracts cornering forces actively, limiting body roll and improving handling and stability. Jeep doesn’t offer an active suspension on the Wrangler. The X6 offers an optional driver-adjustable suspension system. It allows the driver to choose between an extra-supple ride, reducing fatigue on long trips, or a sport setting, which allows maximum control for tricky roads or off-road. The Wrangler’s suspension doesn’t offer adjustable shock absorbers. The X6 offers an optional automatic rear load leveling suspension to keep ride height level with a heavy load or when towing. The Wrangler doesn’t offer a load leveling suspension. For much better steering response and tighter handling the X6 has rack and pinion steering, like Formula race cars, instead of the recirculating-ball type steering of the Wrangler. The X6 has vehicle speed sensitive variable-assist power steering, for low-effort parking, better control at highway speeds and during hard cornering, and a better feel of the road. The Wrangler doesn’t offer variable-assist power steering. For better handling and stability, the track (width between the wheels) on the X6 is 2.8 inches wider in the front and 5.3 inches wider in the rear than on the Wrangler. Unibody construction makes the X6’s chassis much stiffer, which contributes to better handling, and enables softer springs to be used for a better ride. Unibody construction’s stiffness also contributes to better durability and less body squeaks and rattles. The Wrangler doesn’t use unibody construction, but a body-on-frame design. For excellent aerodynamics, the X6 has standard flush composite headlights. The Wrangler has recessed headlights that spoil its aerodynamic shape and create extra drag. The X6’s standard folding rear seats are split to accommodate bulky cargo. The Wrangler 2dr’s standard single piece folding rear seat is not as flexible; long cargo and a passenger can’t share the rear seat. The X6’s liftgate lifts up in one piece, completely out of the way of loading and unloading, while sheltering the cargo loading area. The Wrangler’s swing out door blocks loading from the passenger’s side. To make loading and unloading groceries and cargo easier, especially for short adults or children, the X6 has a standard power cargo door, which opens and closes automatically by pressing a button, or optionally by just kicking your foot under the back bumper, completely leaving your hands free. The Wrangler doesn’t offer a power cargo door. To help each driver find a more comfortable driving position, the X6 has a power telescoping steering wheel. Much better than just a tilt steering wheel or adjustable seat, this allows a short driver to sit further from the steering wheel while maintaining contact with the pedals. The Wrangler doesn’t offer a telescoping steering wheel. When two different drivers share the X6, the memory system makes it convenient for both. Each setting activates different, customized memories for the driver’s seat (memory seat optional for the front passenger), steering wheel position, outside mirror angle, climate settings and radio stations. The Wrangler doesn’t offer a memory system. The X6’s standard easy entry system raises the steering wheel, making it easier for the driver to get in and out. The Wrangler doesn’t offer an easy entry system. The X6 offers an optional heads-up display which projects speed and navigation instruction readouts in front of the driver’s line of sight, allowing drivers to view information without diverting their eyes from the road. The Wrangler doesn’t offer a heads-up display. The X6’s standard power windows allow the driver or passenger to lower and raise the windows without leaning over or being distracted. Power windows cost extra on the Wrangler. The X6’s front and rear power windows all open or close fully with one touch of the switches, making it more convenient at drive-up windows and toll booths, or when talking with someone outside the car. The Wrangler’s optional power window switches have to be held the entire time to close them fully. Only its front windows open automatically. The X6’s standard power window controls are mounted on the armrest for easy access. The Wrangler’s optional power window controls are spread out on the center console where they can’t be seen without the driver completely removing his eyes from the road. If the windows are left down on the X6 the driver can raise them all using the key in the outside lock cylinder. On a hot day the driver can lower the windows from outside the vehicle using the key in the outside lock cylinder or the keyless remote. The driver of the Wrangler can only operate the windows from inside the vehicle, with the ignition on. The X6’s standard power locks allow the driver or passenger to lock or unlock all the doors at a touch without leaning over, or reaching to the back seat. Power locks cost extra on the Wrangler. Comfort Access optional on the X6 allows you to unlock the driver’s door, cargo door and start the engine all without removing a key from pocket or purse. This eliminates searching for keys before loading groceries, getting in the vehicle in bad weather or making a hurried start to your trip. The Jeep Wrangler doesn’t offer an advanced key system. The X6’s rain-sensitive wipers adjust their speed and turn on and off automatically based on the amount of rainfall on the windshield. This allows the driver to concentrate on driving without constantly adjusting the wipers. The Wrangler’s manually variable intermittent wipers have to be constantly adjusted. Heated windshield washer nozzles are standard on the X6 to prevent washer fluid and nozzles from freezing and help continue to keep the windshield clear in sub-freezing temperatures. The Wrangler doesn’t offer heated windshield washer nozzles. In poor weather, headlights can lose their effectiveness as grime builds up on their lenses. This can reduce visibility without the driver realizing. The X6 offers available headlight washers to keep headlight output high. The Wrangler doesn’t offer headlight washers. The X6 has a standard automatic headlight on/off feature. When the ignition is on, the headlights automatically turn on at dusk and off after dawn. The Wrangler has an automatic headlight on/off feature standard only on the Sahara/Rubicon. While driving with high beams on, sensitive light sensors available for the X6 detect other vehicles which could be blinded and automatically switch to low beams. The Wrangler doesn’t offer automatic dimming high beams. To help drivers avoid possible obstacles, the X6 has standard cornering lights to illuminate around corners when the turn signals are activated. The Wrangler doesn’t offer cornering lights. The X6 also has standard adaptive headlights to illuminate around corners automatically by reading vehicle speed and steering wheel angle. The X6 has standard power remote mirrors. The Wrangler only comes with remote mirrors at extra cost. Without them the driver will have to roll down the windows and reach across the car to adjust the mirrors. The X6’s standard outside mirrors include heating elements to clear off the mirrors for better visibility. Jeep charges extra for heated mirrors on the Wrangler. The X6’s power mirror controls are mounted on the armrest for easy access. The Wrangler’s optional power mirror controls are on the center console where they can’t be seen without the driver completely removing his eyes from the road. When the X6 is put in reverse, the passenger rearview mirror tilts from its original position. This gives the driver a better view of the curb during parallel parking maneuvers. Shifting out of reverse puts the mirror into its original position. The Wrangler’s mirror doesn’t automatically adjust for backing. The X6 has standard automatic dimming rear and side view mirrors which automatically darken quickly when headlights shine on them, keeping following vehicles from blinding or distracting the driver. The Wrangler offers an automatic rear view mirror, but its side mirrors don’t dim. The X6 has standard heated front seats. Heated front seats cost extra on the Wrangler, and are only available on the Wrangler Sahara/Rubicon. The X6 also offers optional heated rear seats to keep those passengers extremely comfortable in the winter. Heated rear seats aren’t available in the Wrangler. Optional air conditioned seats in the X6 keep the driver and front passenger comfortable and take the sting out of hot seats in Summer. The Wrangler doesn’t offer air conditioned seats. On extremely cold Winter days, the X6’s optional heated steering wheel provides comfort, allowing the driver to steer safely and comfortably before the vehicle heater warms up. The Wrangler doesn’t offer a heated steering wheel. The X6 has a standard center folding armrest for the rear passengers. A center armrest helps make rear passengers more comfortable. The Wrangler doesn’t offer a rear seat center armrest. The X6’s standard dual zone air conditioning allows the driver and front passenger to choose two completely different temperatures so people with different temperature preferences won’t have to compromise. This makes both the driver and front passenger as comfortable as possible. The Wrangler doesn’t offer dual zone air conditioning. For greater rear passenger comfort, the X6 has available rear a/c vents to keep rear occupants more comfortable. The Wrangler doesn’t offer rear vents. To keep a safe, consistent following distance, the X6 offers an optional Adaptive Cruise Control, which alters the speed of the vehicle without driver intervention. This allows the driver to use cruise control more safely without constantly having to disengage it when approaching slower traffic. The Wrangler doesn’t offer an adaptive cruise control. Standard BMW Apps for the X6 allows the driver and passengers access to select programs on their smartphones, including reading text messages aloud, playing internet radio stations, tagging songs to buy them later, following twitter accounts and other connected activities without taking their eyes off the road or their hands from the wheel. The Wrangler doesn’t offer factory integrated smartphone program access. Bluetooth wireless connectivity is standard on the X6, connecting the driver and passenger’s cell phones to the vehicle systems. This allows them to use the vehicle’s stereo and hand controls to place calls safely and easily. Bluetooth costs extra on the Wrangler. The X6’s optional Parking Assistant can parallel park or back into a parking spot by itself, with the driver only controlling speed with the brake pedal. The Wrangler doesn’t offer an automated parking system. J.D. Power and Associates rated the X6 second among midsize premium suvs in owner reported satisfaction. This includes how well the vehicle performs and satisfies its owner’s expectations. The Wrangler isn’t in the top three in its category.